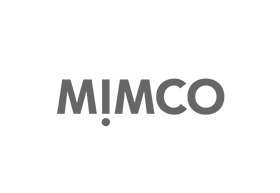 Mimco is a leading fashion label that specializes in the manufacturing and retailing of fine fashion accessories. Mimco was born in Melbourne in 1996 and since then, has enjoyed significant successes in the Australian fashion world. Mimco follows a simple philosophy that involves producing luxury products that are accessible and quirky. This philosophy has allowed the brand to build a strong customer base. Typical Mimco customers enjoy the fashion brand’s ability to surprise them and relate to them on an emotional level. Uniqueness, innovation, respectful creativity, and quality are some of the core elements that go into the Mimco mix for success. These qualities form the central structure behind Mimco’s business structure, establishing them as leaders in the Australian fashion arena. Some of Mimco’s most popular products include signature Mimco handbags, Mimco wallets and Mimco watches. To purchase your favourite set of accessories from Mimco, visit the Mimco store at Chadstone. The store is located on Level Ground and can be accessed through car park F.